I have worked as a psychotherapist in NZ since 1982. 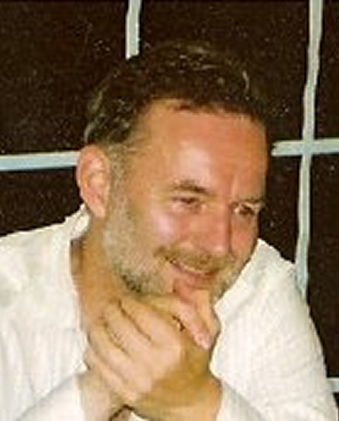 My interests include working with couples, individuals and families on a wide range of problems people experience in their lives such as: anxiety, panic-attacks, sexuality, gender, immigration-adjustments in a new country, feeling low or distressed on regular intervals, problems with anger management, addictions i.e drugs, alcohol or internet. For individuals it can be worries related to a professional career, or relationship issues in the workplace, or the world at large being perceived of couples 'only', and how to confidently manage being a single person. Sometimes there's an anxiety based on past experiences on how to re-enter a relationship or allow an attachment to develop. At times it's not easy, without a sounding board, how to understand one's own feelings and when or where these feelings get tangled up. In my work with couples, recurrent patterns are: 'going around in circles', the partner's can't quite identify or reach the underlying issues and are caught in the 'blaming each other cycle, each partner is perceived as not doing enough, not knowing how to recover or create the good times they once had. Sometimes it involves dependency conflicts and feeling too merged or attached to the other, but not quite knowing how to achieve enough separateness to maintain a satisfactory balance which leads eventually to internal pressures of needing to get out ! Other times one partner is experienced as being too withdrawn and the other is left feeling abandoned or bereft. Another relational problem that frequently occurs is how to differentiate individual from couple issues proper, this one makes it hard to see the 'wood for the trees' and leads to a slow but persistent deterioration of intimacy and the couple losing their way. Gender issues can trip up relationships, as gender roles have shifted significantly and as result - often subconscious - the expectations of each other. However it's not unusual to have adopted new roles but not wanting to let go of the 'old' attachments. There are times that couples have decided to go separate ways but want to do this in such a way that they understand what contributions resulted in the break-up, or for reasons that they need each other still as it involves children, or not wanting to repeat the same pattern in a new relationship. A better understanding of the problems can be accomplished within a reasonably short time, especially once people recognize the build-up of the problem. Quick improvements can be established with a cognitive behavioural approach. Others may wish to work on insight into issues that lay deeper inside the personality, which don't have immediate rational explanations. It's important to recognize or identify what suits people's needs and make choices with that in mind. Consultations are a way to identify what's required in each circumstance and tailor it to the individual, couple or family. I supervise psychotherapy students from AUT and psychotherapists in private practise, a founding member of NZIPP and member of the NZAP supervisors group. Member of New Zealand Institute of Psychoanalytic Psychotherapy Inc.
All communication is treated as confidential. Please call or text my mobile, or send me an email. For the past five years I have responded to people who, because of business interests or otherwise, spend regular times overseas but didn't want to disrupt their sessions. If you have a preference to work via Skype, then this can also be arranged.